Before I start, I should mention a couple of things. 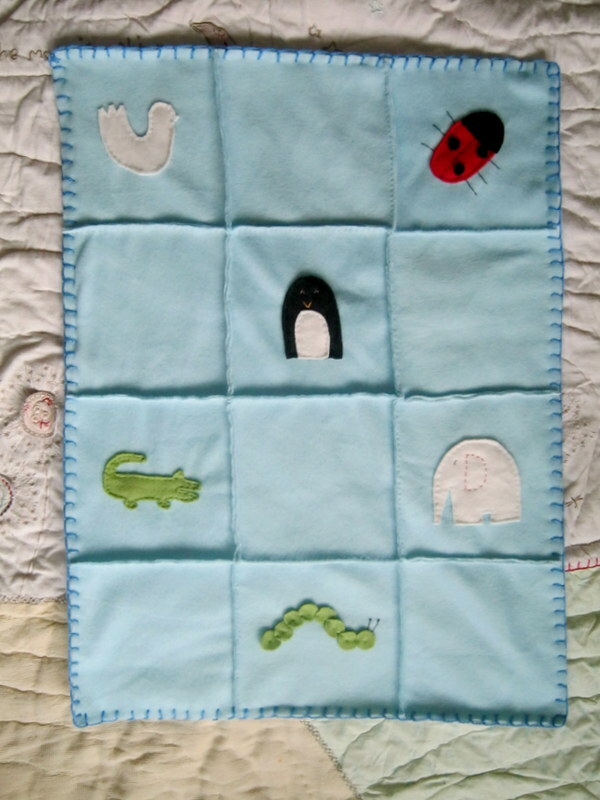 Firstly this is a small blanket, deliberately designed to be used in a buggy or a car seat. Secondly this is a very easy project. I used a thin fleece for the whole project (so no worrying about fraying edges! ), and everything was hand sewn (you can do the main part of the blanket on a machine if you want to, but you don’t need one). I haven’t really written my patterns down that much, so I hope it all makes sense! Ok here goes. 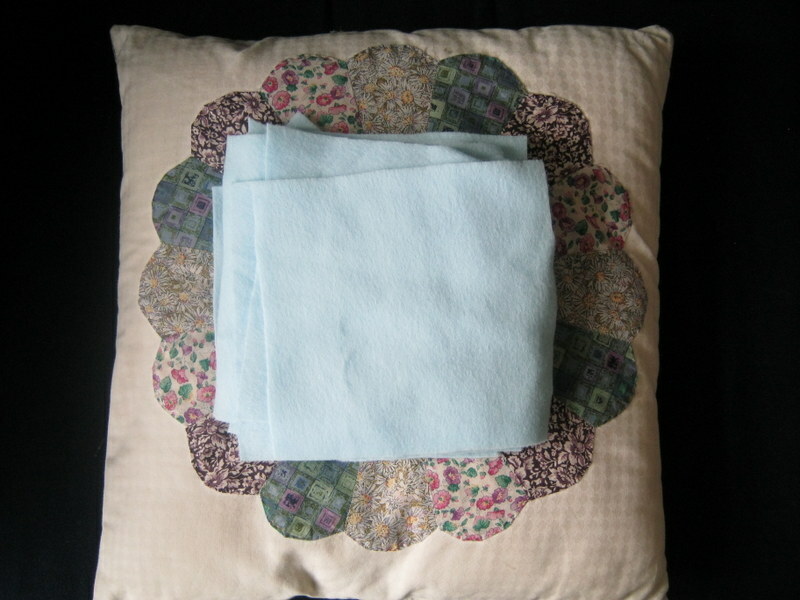 Fleece – enough in the main colour for 12 squares 16cm by 16cm. Fleece for lining and off cuts for the animals (in whatever colours you want). Different coloured threads to sew you animals onto the squares and sew your squares together. Wool to do a blanket stitch around the edge of the blanket. Sharp pair of scissors as well as a wool needle and a sewing needle. Pins are also helpful! Running Stitch; Back Stitch; Blanket Stitch; French knot; Cross Stitch. First cut out 12 squares (16cm by 16cm) from your main colour of fleece. I chose blue but you could do whatever colour you like. Then cut out your animals. I just drew doodles on a piece of paper and converted them to the fabric. I really can’t draw, so I’m sure if you want to make something similar, you can come up with something a lot better! 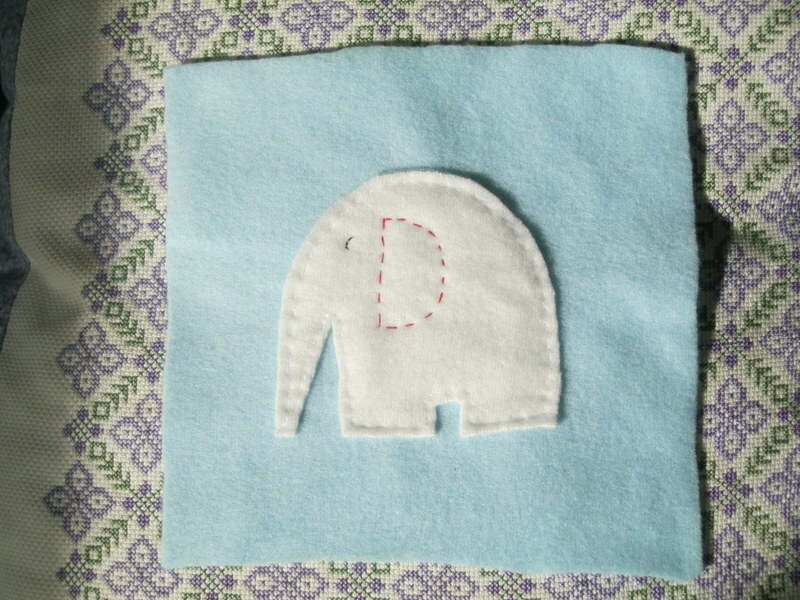 Sew your animals onto a square. 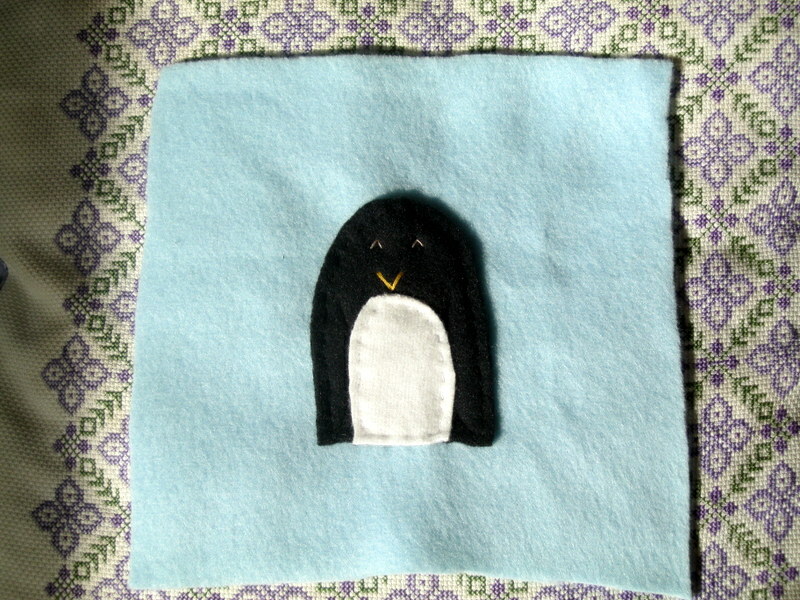 For the penguin, I used a running stitch and a back stitch to do the eyes and beak. 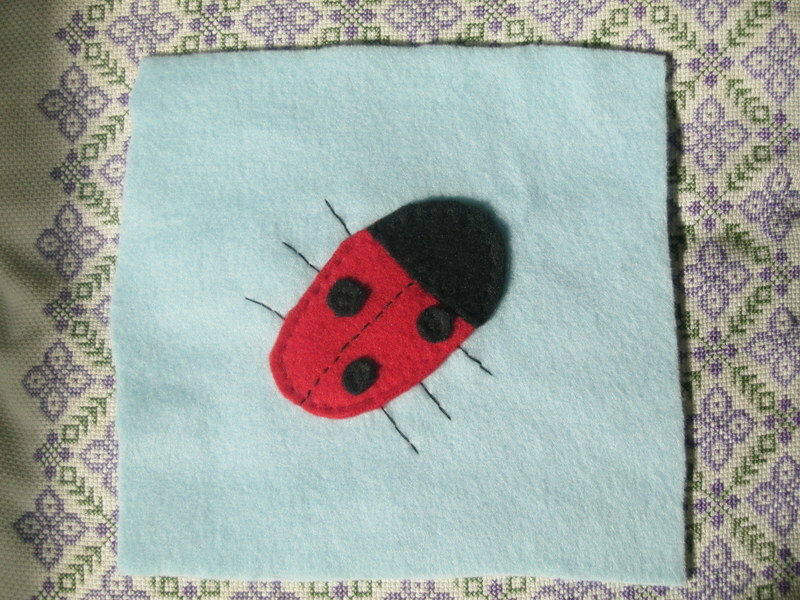 On the ladybird, again I used running stitch for the main body and a back stitch on legs and the spots. 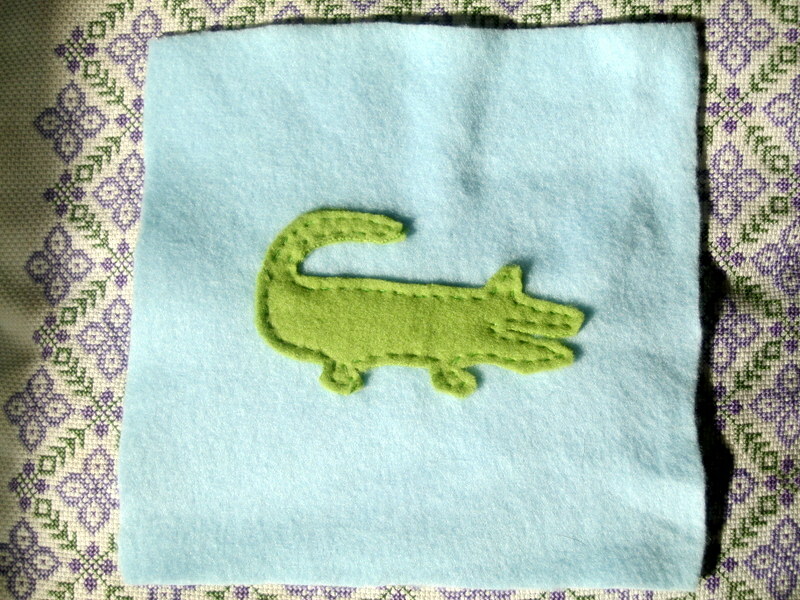 The crocodile (yes it is a crocodile, my little man did manage to correctly identify it!). Sew on with running stitch. The bird is another running stitch masterpiece! My white elephant (he’s one of my favourites). Very simply, do running stitch around the edge. Using a contrasting colour and a running stitch, sew in an ear shape. Finally using black thread a back stitch, sew on an eye. 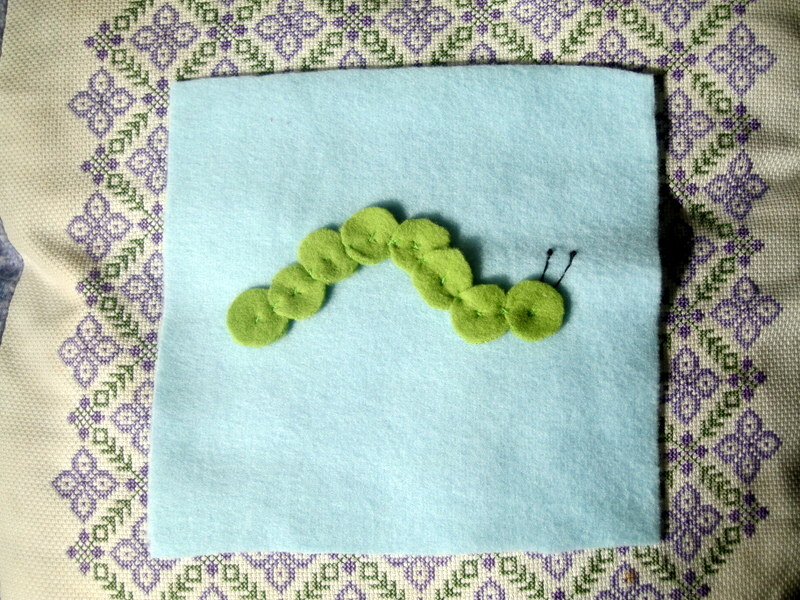 This is my little Caterpillar (he is also one of my favourites). For him, I cut out 8 small circles and joined them/fixed them to the back ground fleece with a small cross stitch in the middle of each circle and one over the join between the circles. I played with a number of different ways to sew the circles on but none of them looked right. I’m going for a ‘homemade’ look but it really didn’t look that good. I finally decided on small crosses and the worked fantastically! 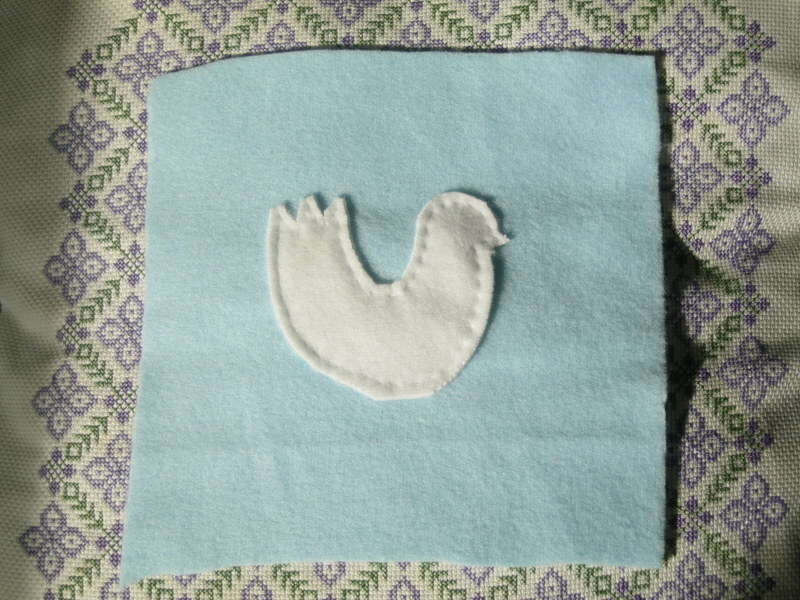 In my next post, I’ll walk you through joining the squares together, lining and finishing off.